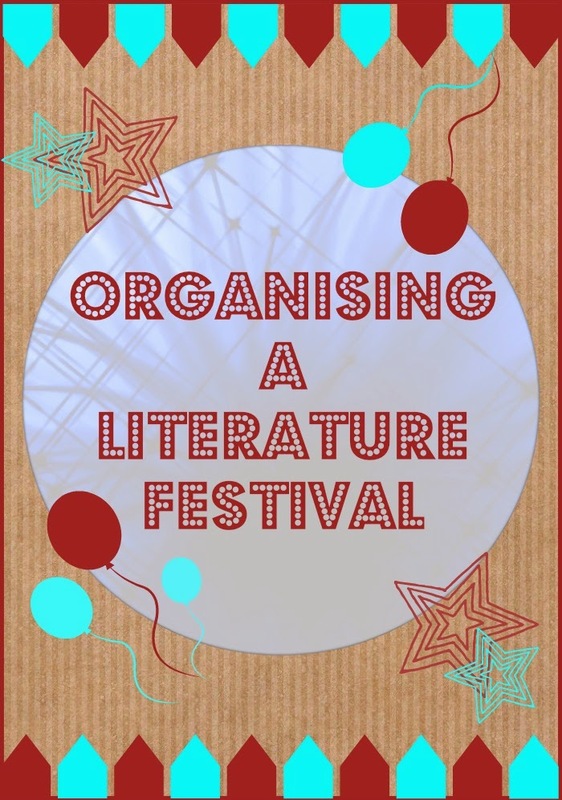 So you want to put on a Festival? Before I go any further, I need to reveal my bias. I’m all for events which put children, young people and families at their very centre – events which are creative, interactive and community conscious, where the audience are creative participants and producers, not just passive recipients. These can take a little longer to plan and put on, but in the long run I believe have more benefits – after all it takes an entire community to raise a literate person! Firstly decide why you are doing the Festival. What do you need/want to get out of it? How are you going to make sure all your hard work, time and effort make an impact? And how are you going to evaluate the process and outcomes, so that you can improve for next time? This can take weeks, months and even years. Planning involves, for me, a multitude of sticky notes (imagine my joy when coloured ones came out) and a very messy kitchen table for months on end. A really big whiteboard is helpful too. The better your planning, the more likely your Festival will go smoothly. And don’t forget to work out how you can evaluate your Festival – will this be built in, or done at the end? How can it be a literacy activity in itself? Give real thought to this. A strategic partnership can go a long way; by providing you with a whole new audience, giving you access to resources and in general being long lasting and fruitful. Who can you work with to achieve your goals? Take a look at the community organisations in your area, and read the local newspapers. Think laterally. My Literature Festival has partnered with land care groups, the circus, community gardens, scientists, a historic house, the Farmers Market and chefs amongst others, as well as the more traditionally literature related libraries, book shops and writing organisations. Make sure roles and expectations are spelt out, agreed and confirmed. A fraught partnership, especially in a small community, can be very damaging. Programming begins with asking a series of questions. This is why it is helpful to already know your aims. Who do I want my audience to be? What do I want them to get out of this? Should I have a theme? Consult with your potential audience on what they want to see/do. Ask kids what they have liked in the past and why – better still get together a group of kids to help with the programming. I did this last year, and the kids came up with a Harry Potter performance/installation. Would I have thought of it myself? No! Was it really, really successful? Yes! How do you ensure maximum participation – for those who come to the Festival, and for the wider community? Can you find students to write blog posts, design posters and write reviews? Talk to everyone you can think of, and ask others to be advocates. Ask advice, and not just from “literary” types. Make sure your local council knows what you are doing. And ask them for guidance too! There is often no money in a budget for marketing so use social media all you can – if you don’t know how to do it, find someone who does. Ask EVERYONE involved in your festival to promote – sending them a short blurb and image so that what gets put out is consistent. If your event is in a school, you have a captive audience, but think about promoting your event to a wider audience. Having at last one event which is open to the general community not only means you get to showcase your school, it encourages community ownership, and allows you to create a bigger buzz. 1) Get school staff to read out a gripping story (which can be done in installments) over the PA. Or if you aren’t a school, what about doing it in your supermarket? 2) Have a Poetry Picnic. Ask the children to bring in their favourite poems and nursery rhymes (and have plenty available for those who don’t) then eat lunch outside, taking it in turns to share your poems. 3) Work with your local library on putting on a story/rhyme time session in a park or other non-traditional location. 4) Talk to your local library (or Friends of Library) about having a used book sale. 5) Make Poetry Posters and put them up around your town. 6) Ask local leaders to chose their favourite children’s stories and read them aloud. 7) Involve older kids in making a Bear Hunt or Treasure Hunt for younger children. 8) Hide characters in the local shops/park and get children to name the characters and books they come from. This is a good way to involve local businesses that might be more likely to sponsor you! For an example, see the Great Castlemaine Character Caper. 9) Get permission for the children to draw (in chalk) book-related images on the footpath or road. 10) Publish children’s stories in the local newspaper, or broadcast on community radio. A step that can be over-looked after the hopeful elation and possible exhaustion of putting on a Festival, is evaluation. Take note of what worked and what could be improved, as well as things that can be developed for next time. Write down all you’ve learned. When staff leave, they often go with all this important information in their heads! Finally, don’t forget to say thank you to everyone who was involved. A handwritten note or acknowledgement online goes a very long way, and apart from just being courteous, makes it easier to work with the same people next time. 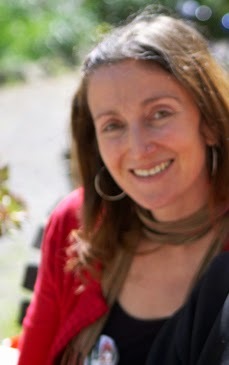 Lisa D’Onofrio is a literacy/literature advocate and activist who has worked in community arts for a very long time in both the UK and Australia. She is the Director of the Castlemaine Children’s Literature Festival, and the Children’s Literacy Facilitator for Go Goldfields.